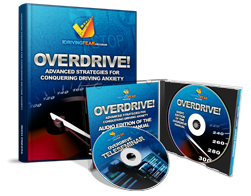 The Driving Fear Program – Overcome Your Anxiety While Driving Today! You don’t need to live with fear or anxiety when you drive. What would overcoming your fear or anxiety while driving mean to you? The chance to see family and friends more often, without ruining the experience with anxiety, nerves, or panic attacks? What relationships would you build or strengthen? The ability to accept that promotion or career change that you’ve been avoiding without having to worry senselessly about traveling? How much better could everyday life be if you conquered your fear? Ending the excuses you’ve been making for why you can’t drive and not living with secrets or feeling ashamed? Being a role model of strength and courage to your children so they can live a life free from these types of fears? The opportunity to take vacations and getaways with loved ones and experience all that life has to offer? We don’t get to rewind life, whatever you pass up on now is GONE, and the worst part is, it doesn’t need to be. Being back in control of your life and not making decisions around your fear? How often does fear play a role in what you decide to do or not do? You can take your life back for good. Listen to Cathy Tell Her Story of Success! What causes your anxiety while driving? You don’t feel afraid because you’re weak, silly, or strange. You feel scared or uncomfortable while driving for one reason, and one reason only. Your anxiety has tricked you. Your fear proves you’re a VERY fast learner. My experience has convinced me that having a fear often means that you have the ability to learn at a much more accelerated rate than normal. You probably had a bad experience while driving, such as getting anxious for no apparent reason or having a panic attack, and from a small handful of experiences you developed an intense fear response that you carry with you to this day. You only needed a very small amount of experience for your brain to learn something very powerful. If done correctly, you can use that same rapid learning ability to be taught something new – to learn to NOT be afraid while driving. Fear is simply a message. Your brain is telling you that something is dangerous and you need to be on guard, ready to take action to protect yourself or escape! Your brain is making a huge mistake! Based upon those small handful of experiences, your brain has wrongly learned that you are in danger from your feelings of anxiety and now considers driving a threat. This activates what is called the “fight or flight” response, which has been part of our genetic makeup for thousands of years. This response causes your body to take massive action to protect itself from harm, and it doesn’t even bother asking your approval! It does this on a very primitive, emotional level, giving you no opportunity to properly evaluate the situation using your own judgment and logic as to whether or not the threat it perceives is real. That’s why your fear has nothing to do with your intelligence and why just knowing your fear isn’t justified doesn’t help…the decision to get anxious or panic isn’t occurring on a rational level. Within milliseconds, hormones such as adrenaline and cortisol surge through your body which cause symptoms such as racing thoughts, a pounding heart, vision changes, sweating, a strong urge to escape the situation, and more. Of course you know that this response isn’t appropriate when you’re not in real danger, so you need to learn how to teach your brain to respond differently when you drive so it doesn’t keep getting tricked into starting the fight or flight reaction in the first place. Your fear of driving is what’s called a “conditioned” response. Every time you drive, or maybe even think about driving, you remember what happened in the past and how you responded. It’s easy for you to remember vividly because it left a strong emotional imprint in your mind, didn’t it? Your mind wrongly associates your anxiety and fear with driving and assumes that driving must be dangerous and a threat, so it activates the flight or flight response we talked about earlier. This learning is done by the formation of what are called “neural pathways” in the brain. Every time you drive in the future and experience anxiety and fear, you strengthen your mind’s false belief and create MORE neural pathways that strengthen your fear response, resulting in a faster and more severe reaction of anxiety or panic. You actually “condition” yourself to be afraid! Maybe it seems hard to believe that this is how your fear was formed, but this is how you learned to do many things that are now almost instinctual, like riding a bike. At first, you had to pay close attention to what you were doing and it was awkward as your brain created the neural pathways for the balance and coordination of bicycling. But with practice, those neural pathways multiplied and grew stronger and you started to ride and make hundreds of subtle adjustments without any conscious thought at all. It became automatic and now you don’t have to think about how to ride a bike, you just hop on and pedal away, your mind simply remembers HOW by referring back to the neural pathways you created many years ago. In a similar but less appropriate way, as you create more neural pathways in your brain around driving and fear, you can make your reaction of anxiety more automatic, more deeply ingrained in your mind, until that reaction occurs without you even thinking about it. It’s just like riding a bike, tying your shoes, or countless other things you’ve learned to do seemingly without thought. Doesn’t it make sense then that the way to overcoming your fear of driving is to erase the old limiting neural pathways of anxiety and replace them with new neural pathways of confidence, peace, and calm? All of this occurs on a very deep, primitive, and emotional level, and is why so many programs and therapies fail. They attempt to correct an emotional problem on a logical level…it just won’t work! Traditional talk therapy often attempts to “explain” to you why you don’t need to be anxious while driving. Let me ask you, are you CHOOSING to be afraid? Do you think you just need more facts, figures, statistics, or other rational arguments? Do you think you just need someone to tell you why having a fear of driving doesn’t make logical sense and you’ll feel ok? Like you learned, once it starts, your fear can be virtually out of your control. Logical explanations and talking it over won’t stop your anxiety any more than you can talk yourself out of a headache. You need to learn to stop your anxiety BEFORE it starts. I used to sweat and pray the red light would change because I felt so trapped and thought I would lose control. I took back roads to where I was going because I was terrified of driving on the highway or over bridges. I used to pass up on vacations and fun with family and friends because of my fear. I “suffered in comfort” by never leaving the security of my “safe zone.” I made up excuses, suffered embarrassment and felt humiliated because of my fear of driving. It was horrible to have my life invaded by fear and the years I wasted being anxious I’ll never have back. Driving is different now, a LOT different. Looking back, it doesn’t even seem possible that person used to be me. Life now is so much easier and I feel better about myself, more confident and proud instead of ashamed and limited. I take road trips and travel all around the country without hesitation or concern. I visit friends and go on weekend getaways with my family. I ‘ve learned to enjoy driving again and actually look forward to the peace and quiet of the ride. Traffic, highways, bridges, being outside my “comfort zone”, and red lights are things I don’t even notice anymore. You know that irritating guy who’s singing along to the radio in his car with the windows open? That’s me now. My kids want me to knock it off before their friends see. How did I do it? I’ll be honest, it was tough. What made it so difficult and frustrating is that there weren’t any resources available to me to turn to for help. There were plenty of books and programs for general anxiety or panic attacks, but their techniques often didn’t work while driving or they were complete garbage, full of outdated and ineffective advice that flat-out didn’t work for me AT ALL. Through years of research, reading, trial, and painful error, I learned cutting edge techniques and strategies that don’t just ease the fear of driving, but can eliminate it completely. I developed a step-by-step program that can help you shatter the very core of your fear, so it never has to hold you back again. It’s not about “coping” with your anxiety…that never made ANY sense to me. You don’t want to COPE with your fear, you want it GONE. It’s not about taking addictive or dangerous medications that only mask the symptoms of the REAL problem. It’s not about New Age nonsense, hypnosis, affirmations, or other hocus pocus that often does NOTHING to help you overcome your fear of driving. I hate to break it to you, but the universe isn’t going to sprinkle fairy dust on you because you think pretty thoughts. Instead, I’m going to show you how you can go to the source of your fear response and CHANGE IT. It’s called the Driving Fear Program, and it’s helped literally thousands of people who used to struggle with a fear of driving lead different and better lives. Having completed your program I just wanted to let you know how this has transformed my life. My fear of driving has meant that I have avoided it for 42 years. Now having completed the program I look forward to my lessons and my practice – that awful knot in my stomach has gone! I will be sitting for my test in the next couple of months and I cannot believe I will soon be a fully qualified driver! I will let you know when I pass my test. In the meantime, may I express my thanks to you for this wonderful program – as my friends and family say ‘if it can help Eileen, it can help anyone’! Once again, my sincere thanks. You need specialization to overcome your fear. The Driving Fear Program was designed to do one thing very well, end your fear of driving. Period. Conquering your fear in the fastest and most efficient manner possible requires specialization and focus. The fear of driving is unique and needs to be approached differently than a fear of public speaking, flying, spiders, or some other phobia. Day in, day out, we help people all around the world overcome their fear of driving. It’s our focus, and that’s why we’re the best. You’ll learn how you can train your mind to no longer be afraid. You won’t need to suffer the embarrassment or cost of going to long, drawn out therapy sessions that may or may not help you overcome your anxiety (often after years). You won’t need to risk addiction and short-term results by resorting to pills to stop your fear. Your panic attacks can be a thing of the past, and you most certainly won’t need to “just deal with” your fear anymore. You won’t just learn how to live with your fearful feelings while driving, you can actually prevent the fear from occurring in the first place. You may fear having a panic attack and losing control while in the car or you may not feel secure when driving over bridges. Maybe you can drive close to home in your “comfort zone” or maybe you’re unable to drive on highways. You may still drive but with a knot in your stomach you’d love to untie. Whatever your situation, I believe the Driving Fear Program can work for you if you let it. Take a look at unedited comments from our blog. Have given up promotions or career advancement because of their fear of driving. Miss out on the joys and opportunities of life, shared family moments, and events that require travel. Want to feel more at ease, secure, in control,and confident while on the road. Whatever your reason, you don’t have to live with your fear. You don’t need to suffer and you don’t need to wait any more. It doesn’t matter how old you are, how long you’ve been afraid, or what else you’ve tried. 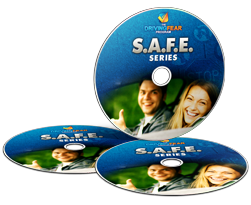 With the Driving Fear Program you can start feeling better NOW. You won’t find our exclusive techniques anywhere else. I’ll teach you a simple 4 step technique that can bring your fear or panic to a grinding halt. In the program, you’ll learn our trademarked R.O.A.D. Technique™ that will teach you the four steps that can shut down your panic, often instantly. Once you’re taught how panic and anxiety work and are shown the technique to end an attack, your fear of your own feelings can vanish with the knowledge that from this day forward, you carry your own solution within you. When under high anxiety or panic, you may have irrational, compulsive thoughts about losing control, going crazy, passing out, or other scary or embarrassing situations. If you’re having a problem with these scary or irrational thoughts, chances are you’re a highly creative person with an active (sometimes overactive) imagination. In the Driving Fear Program, you’ll learn how to use your inborn creative ability to your advantage to turn the tables on these thoughts and kick them out of your head once and for all! Once your fear is gone, it can STAY GONE. You’ll receive all the tools and training I think you need to rid yourself of your fear and keep it gone FOR GOOD. The first thing you’ll learn is what I consider the BEST WAY to end your anxiety and panic FAST so you can get back on the road without excessive anxiety. After that, we’ll go through specific strategies for decreasing the stress, negative thought patterns, and anxiety that fed your fear so you never have to worry about it getting the better of you again. By the end of the program, I think you’ll find that you won’t just be back to your old self again, but that you’ll discover that you’re much better than you ever were. panic attacks while driving started! Why you should be HAPPY when you don’t do as well as you like while driving. The tiny adjustment that can automatically shoot your confidence about driving through the roof! The 5 patterns of faulty thinking you MUST avoid to be successful. How what you eat and drink effects your fear and what to avoid. When to NEVER work on your fear of driving. How to deal with difficult drivers on the road. What to do if your family isn’t encouraging or sympathetic about your driving anxiety. What’s included with the Driving Fear Program exactly? 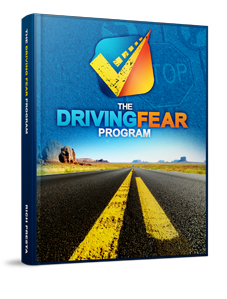 The backbone of the program, the huge Driving Fear Program manual is a comprehensive, step by step system designed for conquering your fear of driving and getting you back on the road with confidence and comfort as quickly and easily as possible. This is the exact same program that’s been recommended by mental health professionals and used by thousands of others all over the world to overcome their fear and change their life. In the unabridged audio version of the Driving Fear Program, I’ll walk you step by step through each and every chapter of the program! You can listen to these life changing audio recordings in your car, at home, or even on your iPod. In the Driving Fear 2.0 Video Series, I’ll personally guide you through the program and my exclusive process of conquering your anxiety on video! This series of 19 videos in easy to use QuickTime format you can play on any computer is like sitting with me in my private office and being gently led to your new life of courage, freedom, and peace on the road. 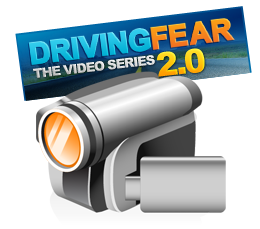 With the Driving Fear 2.0 Video Series in your recovery toolbox, gaining the skills to overcome your anxiety while driving can be as easy as sitting back and watching TV! Since its release, the S.A.F.E. Series has revolutionized the treatment of driving anxiety by incorporating a method patented by Lowery patent 5,159,703. Our proprietary system is called Subliminal Auditory Fear Elimination or S.A.F.E., and clients have found that it can dramatically increase the speed at which they can overcome their driving anxiety and roadway phobias. 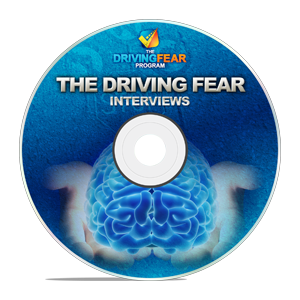 This 2 hour audio breakthrough is ONLY available here as part of the complete Driving Fear Program. As an added bonus, I’ve developed and produced what many consider some of the most powerful supplemental material anywhere for overcoming fear and anxiety while driving and will include it with your order at no extra cost. Purchased separately, the bonuses below would cost over $179 and be worth every cent, but if you place your order now, you can get them with the complete Driving Fear Program FREE. By themselves, the bonuses below are valuable, combined with the Driving Fear Program, they’re priceless. 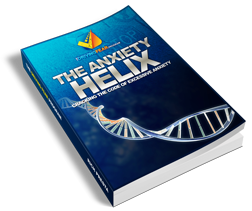 The Anxiety Helix report cuts through the clutter and opens your eyes to the TRUTH about anxiety and panic attacks while driving, so you can turn the tables on your fear and begin taking your life back. In this easy to read, simple to understand report, I’ll explain to you precisely how your anxiety works, why you’ve had trouble conquering it, and what I think you need to do to break free of it – once and for all. The Overdrive System was used for years by clients who needed to conquer their driving anxiety rapidly or had severe phobic reactions. The system utilizes advanced strategies I recommend for overcoming fear and replacing it with unstoppable confidence and a feeling of calm, on and off the road. Previously available ONLY to select clients at a cost of $97, the Overdrive System contains the Overdrive Report, the complete audio edition of the Overdrive Report, and the audio recording of a teleseminar I conducted with a mental health counselor who I consider to be THE most respected authority in the country on the material covered in the Overdrive System. The ENTIRE Overdrive System, including the teleseminar recording, Overdrive Report, and full audio version will be included with your order for no additional charge for a limited time. I tracked down who I consider the most recognized experts working with anxiety and fears and convinced them to do a series of interviews with me to discuss how their respective areas of expertise could be applied to help those with a fear of driving. These one of a kind interviews will offer you additional ideas, thoughts, and perspectives on conquering your driving anxiety that you won’t find anywhere else! They were conducted by ME personally for my Driving Fear customers. You’ll get these fantastic audios in mp3 format that you can either listen to from your computer or iPod. A simple step by step plan based on real world results. I created the Driving Fear Program for everyone that is still needlessly battling their anxiety about driving because they haven’t been given the tools to end the fear. I remember the feeling of helplessness when I just couldn’t find something to make me better and the terror that I would have to live out my life in that condition. I’m grateful I eventually found the answers, but I don’t want you to have to go through what I did because you don’t have the right information. If you could take the time, focus, and energy you spend on your anxiety and redirect it toward something you WANTED, what could you accomplish? How much happier would you be? What could you BECOME? The Driving Fear Program comes in three different versions, so you can be sure to get what’s right for you. At the bottom of this page, you can order either the Standard or Premium Version of the Program, both of which are versions you can download instantly to any computer you like in convenient mp3, PDF, and QuickTime format. You don’t need to be a computer whiz because I’ve made it super simple. It will work withany computer, there’s no special software you need to buy, and all you need to know how to do is click a link. If you ever need any help, don’t worry, we’ll be happy to assist you. If you prefer to have the books and other material in a print and CD format that’s actually shipped your address, we offer that too, just click here for details and to order that version of the Driving Fear Program and we’ll rush it right out. Today could be the day you turn the page and close this chapter of your life. I decided to try the Driving Fear Program because nothing else was working and I was tired of feeling trapped and like I wanted to escape the situation when I would drive. I’m in the prime of my life and I realized I should be having fun and trying new things, not letting my fear or panic attacks hold me back like it had for so long. Luckily, the program changed all that, along with my entire outlook on life! I started to see changes almost immediately and now I feel like myself again. Every time I would sit behind the wheel I would like I was going to pass out from panic. I could go to the grocery store or pick up my kids from school, and even medications didn’t help. After I started using the program, I found myself driving on busier and busier streets, and now I’m driving like I used to before my anxiety started! The program is wonderful, thank you. I had a severe fear of driving and it was ruining my life. I decided enough was enough and purchased the program. I’m glad I did. Now I can drive hundreds of miles away (which is still unbelievable to me) and finally feel free and independent. I’m surging with confidence and it feel so great to be liberated from my fear! Before the program when I would drive it would feel like an out-of-body experience – completely terrifying. It’s hard and a little embarrassing to admit, but I was virtually housebound by my driving anxiety. Once I began the Driving Fear Program, I noticed I was less fearful the very next day, I felt like I had started to rebuild my power. Now my self-confidence is so much better and I’m looking forward to things I didn’t even think were possible in the past. I love this program because it works and it works FAST! I wanted to be a good model for my two boys so I decided it was time to do something about my driving anxiety that caused me to panic and feel extremely claustrophobic. I used to worry that I would lose control of the car and getting on the highway was impossible, but after starting the program I saw results immediately. It felt incredible to feel my fear be lifted away and the surge of confidence was something I had never experienced! Now I’m driving on the highway, alone, and overcoming all the things that used to cause me such trouble. I highly recommend the program, you don’t have to live with fear or anxiety about driving and its never too later to start your life over, I’m proof! 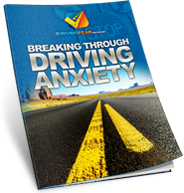 I’m confident you’ll find that The Driving Fear Program is the most effective, fastest, and easiest way to overcome your driving anxiety available. I’m so confident in the results of the Driving Fear Program that I’ll let you evaluate it risk-free for 8 weeks. If at any time you can honestly tell me the results you’re seeing aren’t better than you ever expected…if you’re not completely blown away at the changes in your life, let me know and I’ll give you a 100% full refund with no questions asked and no hard feelings. If you follow the program, it will work or you won’t pay a dime, that’s my personal promise to you. The Driving Fear Program works so well, I’m willing to let you evaluate it for 60 days risk-free and decide what you think. Overcoming your fear or anxiety about driving requires specialization that the Driving Fear Program offers, not the ineffective cookie cutter techniques offered by other programs. The Driving Fear Program has already been used worldwide by thousands of people. It’s the most recommended program for overcoming driving anxiety for one simple reason…IT WORKS. It doesn’t matter how old you are or how long you’ve been afraid of driving, the program can work for you too. Check out Eileen’s story for proof! The program was created by Rich Presta, one of the most recognized and respected pioneers in the field of driving anxiety, and Dr. Cheryl Lane, a Doctor of Clinical Psychology. It doesn’t matter what your fear is… highways, bridges, traffic, driving alone or out of your comfort zone, we’ve seen it all. 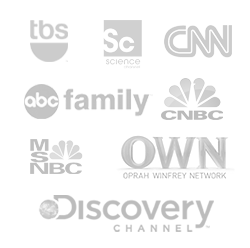 You can access the program immediately and privately from the comfort of your home. You can be started in the next 5 minutes. Once you learn the techniques I recommend for ending your fear, you can know it permanently. We don’t just show you what to do, we show you what you’re doing WRONG now. You’ll learn our trademarked four step R.O.A.D. Technique™…that almost no one figures out on their own… that’s incredibly simple to master and can allow you to INSTANTLY shut down your fear while driving. You can change your life for less than you probably spent on their last pair of sneakers. It’s important to me that help is within reach for everyone that needs it, so I’ve decided to make the Driving Fear Program incredibly affordable so you don’t need to continue to suffer needlessly with your anxiety. The entire program which includes everything we’ve talked about and is completely guaranteed, can be yours for only a single payment of only $87. You Need To Take The First Step Towards A Better Life. 100% Money Back Guarantee – I understand that my satisfaction is completely guaranteed. If I’m not absolutely THRILLED with the results of the program, I have a full 60 days to take advantage of the no questions asked, no hassles guarantee and get a complete refund of every penny I paid. Receive The Complete Program – I understand that I’ll be receiving the COMPLETE program, which includes absolutely everything discussed above…the Driving Fear Program Manual, the unabridged Audio Version, the full Driving Fear 2.0 Video Series, the proprietary S.A.F.E. 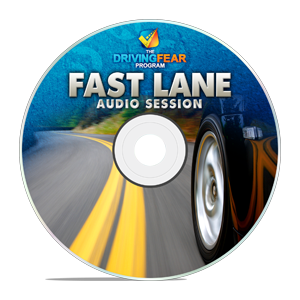 Series, the Fast Lane Session, the Overdrive System, the Driving Fear Interview Series, and all the other bonuses in easy to use PDF and mp3 format so I can download them right away and get started fast. If I prefer the Print and CD Version of the Program that’s discreetly shipped to my preferred address, I can order that by clicking here. 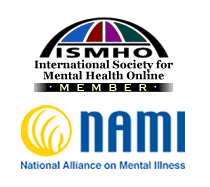 Developed With A Doctor – You know you can trust the program like thousands of people around the world already have because it was developed by leading authority Rich Presta and Dr. Cheryl Lane, a Doctor of Clinical Psychology. Completely Natural – The Driving Fear Program is designed to help you quickly change for the better by helping you alter your automatic and negative thought patterns and reactions that can cause severe anxiety, worry, and fears, and NOT with drugs or medications that can cause dangerous side effects, leave you feeling numb or sedated, or merely dull your symptoms without addressing the REAL problem. Break the Cycle of Anxiety – The goal of the program is NOT to simply help you “manage” your anxiety. Why learn to live WITH your anxiety when you can learn to live WITHOUT IT? I don’t think you should be satisfied until you’ve learned to END the destructive cycle that creates the problem! Your order is completely guaranteed and only a single secure payment of $87! NOTE: The Driving Fear Program above is an instantly downloadable program. No physical products will be shipped. After you order, you will get INSTANT ACCESS to download the program material onto your computer. The format is Adobe Acrobat PDF, mp4, and mp3, which can be viewed on Mac or PC. If you prefer the print and CD version of the material that is shipped quickly and discreetly to your preferred address, please click here. Click Here to Order the Fully Guaranteed Driving Fear Program Now! P.S. Every day you wait to get started with the Driving Fear Program is another day you may be NEEDLESSLY suffering with your anxiety and fear. Your results and satisfaction are completely guaranteed or you won’t pay a dime, so there’s no reason to wait. The program has already helped thousands of people all over the world with their driving anxiety, you can be next. I decided to try this program because I was desperate for help and needed answers. Driving had become awful, like it was a dream and i felt like I would pass out or just go crazy. It was the worst feeling I had ever had in my life. I had seen a doctor and tried medications, and I even tried hypnosis, but nothing made me feel better until I found the Driving Fear Program. Now I can drive anywhere, and life is a lot different. Getting started with the program was the smartest I ever did for myself! Get Your FREE Driving Anxiety Email Seminar! A five part email series that shatters the myths and shows you the secrets to overcoming your anxiety while driving! I couldn't drive on the freeway without discomfort - I took meds and saw a therapist, but nothing worked until I found the Driving Fear Program. I saw changes within two weeks, and now I can drive anytime, I'm not depressed, and joy has returned to my life. The Program works. I started the Driving Fear Program because for eight years I couldn't even drive around the block or get to the store about 4 blocks from home. Just thinking about driving made me anxious. Every attempt to drive would cause a panic attack and cause me to come back home, I felt weak and ashamed. When I tried to drive I had a pounding heart, shortness of breath, uncontrollable shaking, dizziness, blurred vision, felt afraid that I could not make it to my destination, and had a terrifying feeling that I was going to die. Within two weeks of using the program, I started to feel better and could drive around my neighborhood again, and my thoughts didn't bother me so much. Now I drive to and from work without panic, can meet friends again, and do other activities that people take for granted - I have my freedom and independence back. The program helped me when I thought nothing else would. After years of driving without issue, I started having anxiety while driving so severe I would actually need to pull off the road. I tried to find help in books about phobias and panic attacks, but the Driving Fear Program was the only thing I found that focused on MY problem. After a couple weeks of using the program, I began to start driving again in areas I had avoided and realized I wasn’t going crazy! I’m happy to say that recently I took a road trip to Nashville and drove through downtown, on the interstate, through traffic, and back home, all by myself. I’d recommend the program to anyone facing the same fears I did. My driving anxiety began about a year ago, and started to affect my life more and more the longer I put off doing something about it. When I first found the Driving Fear Program, I read the testimonials and the summary of what to expect from the program, and finally found hope. I had tried other relaxation and anti-anxiety programs, but nothing addressed the direct source of the problem like your program did. I saw results with the Driving Fear Program VERY quickly, by the second day I was already seeing progress. Now I can drive on highways again, and believe it or not now I'm actually more relaxed than BEFORE my problems with driving started! I'd recommend the program to anyone with a fear of driving because it's so easy to understand and use, and most of all effective. Thank you so much! Before I found the Driving Fear Program, I had anxiety everywhere and just couldn't bring myself to drive over 40 miles per hour. I had even tried medications to control my anxiety while driving, but nothing seemed to help. I found the program on the Internet and decided to give it a try, even though I still had a negative attitude. After about four days of using the program, I started to feel less scared and more calm while driving. Now I can drive just about anywhere, and I have more confidence and positively in general. Thank you so much, this has been one of the most important experiences of my life. I decided to do something about my fear of driving because my scary thoughts and loss of concentration made me want to pull over when I was on the road and I began to avoid freeways entirely. Three weeks into the program I started to feel more relaxed, and now I’m starting to get back on the freeway. I like that the program is specific to my fear and easy to follow, I’d recommend it to anyone. I'm a driving instructor and my fear put me in danger of losing my job. I couldn't drive over bridges, sit at red lights, drive over long stretches of open road or motorways without an intense feeling of panic and wanting to get out, and at 70 mph that was a terrifying thought. My world got very small and I gave up work for a while. I refused any social invitation and became housebound. The techniques you teach in the program were the real breakthrough for me, as soon as I put them into practice, the anxiety would just go away. I feel normal again, my life has completely turned around, thank you for the Driving Fear Program, it has honestly changed my life. Prior to getting the program, I felt ashamed of my fear of driving on the highway. I would get a feeling like I would lose control or just drive off the road, so I avoided it whenever I could. When I got the program, I started noticing changes right away and it just kept getting better! I would HIGHLY recommend the Driving Fear Program. I started the Program because I had very bad anxiety, to the point where I was housebound and depressed. I couldn’t drive my kids anywhere, and my husband and I fought a lot because of my limitations. I tried therapy, but it didn’t work. I was just tired of feeling helpless. After a week of using the Program, I could drive again, and after two weeks I was going over bridges! The Program worked and I would recommend it to everyone. I really hit rock bottom when just taking my kids to school became filled with anxiety and physical feelings like sweaty palms, numbness in my fingers, and panic. When I started the Driving Fear Program, I started to feel better almost immediately. Now everyday driving is much easier. I've had anxiety issues while driving off and on for about 10 years. The day I bought the program I had such extreme anxiety that I'd had to pull over 3 times on the way to work just to try and calm myself down. I would avoid driving on freeways, fearing that I'd have an anxiety attack, and would make excuses for not driving places. The worst sensation I have while driving is depersonalization. I felt detached from my surroundings and like I was losing my mind. After the first couple of days after reading the Driving Fear Manual, I already had the confidence that I would be able to learn the skills necessary to become a more comfortable driver. It was like I instantly had an "I can do this" feeling that had never been there before. Without a doubt I would recommend this program! I was looking for a way to overcome my debilitating fear of driving that I had struggled with for over ten years. I had tried therapy, books, meditation, yoga, aromatherapy and more, but nothing seemed to help. I would have lots of trouble driving on the freeway, at fast speeds, long distances, and at traffic lights. I would have panic attacks with racing thoughts about death or hurting someone, headaches and tension, I would feel lightheaded while driving, have a rapid heartbeat, numbness in my fingers and toes, would tremble and have trouble breathing. Now that I’ve gone through the program and done the exercises, roads that I used to avoid because of panic I can drive on with no problem. Things are generally just much better since I overcame my fears and gained control and confidence on the road. If you have driving anxiety, I highly recommend that you get the Driving Fear Program. When I would drive beyond my city limits or on the interstate, I would feel very panicky, dizzy, sweaty, and would tremble and have terribly scary thoughts. I tried traditional therapy before the Driving Fear Program, but it was expensive and just too slow to see any results. After going through the Program, not only can I drive on the Interstate again, but I'm actually MOST comfortable there! My fear of driving was terrible, socially, mentally - when you avoid driving, you lose out on so many good things from life. Now I'm more comfortable behind the wheel and have even started to enjoy it! I used to be able to drive with no problem - I even enjoyed the feeling of freedom on long drives, but over the past few years my joy was replaced with major anxiety and panic of being away from my "safe place". Now after completing the program, driving is just more comfortable and I feel much more in control of my thoughts and reaction. Thank you Rich for the program. My life was limited by my fear of driving, even being a passenger was causing extreme panic and I couldn't drive myself AT ALL. I don't feel trapped anymore, and it's nice to be able to just pick up and go at a moment’s notice. Now I know I'm in control. Before the Program I hadn't driven at all in four years. My wife had to take me to work and anywhere else I wanted to go. My confidence was shot. When you're at the mercy of someone else to do your driving for you, it is a very humbling, and somewhat humiliating, experience. I'm back driving now, and although I still have some work to do when driving long distances, things are continuing to get better, and that's an awesome feeling. When I used to drive, I would panic and have scary thoughts, I would tremble, and feel like I was about to black out. Driving is easier now, I don't avoid things anymore. The Driving Fear Program helped BIG TIME. Prior to the program I lived my life in a cloud of depression and sadness. I felt inadequate because I let the fear control me and I didn't know how to break its' grip. Right after I downloaded the program I read it and reread it a few times. After every lesson my comfort level and confidence would increase. I would highly recommend the program to anyone with a fear of driving. The price you pay for the program is truly minuscule compared to what you're receiving, control of your life. Every passing minute is another chance to turn it all around. The other day I had the choice to take the freeway back home or city streets and I chose the freeway almost without thinking about it! It was bumper to bumper traffic and guess what? I felt NOTHING and did it with no problem. The Driving Fear Program is a fantastic resource to support people who experience fear and anxiety while driving. I'm always happy to find a resource I can confidently refer my clients to. It provides a step by step, practical method that anyone can use. I think you're doing a wonderful service by providing a wealth of expert knowledge to those who are seeking an effective approach to ending their driving fear. As I read your program, I couldn't stop nodding my head in agreement with everything I was reading. The program is simple and clear, yet extremely effective. To those of you out there that may have a fear of driving, I strongly recommend you get the Driving Fear Program and take back your life. I've recommended the program to some of my friends (who are equally pleased), and we just can't say enough good things about it. I'm sure you've been told this before, but this is a wonderful thing you're doing for people like me who have been our wit's end for so long. Yesterday I tackled a big bridge near my home and to tell you the truth, there was very little anxiety. It feels good knowing I have the tools to stop or slow down an anxiety attack. I've only been using the program for 10 days, but wanted to share something with you. I almost always avoid the highway, but recently got back on, thinking it would be the ultimate nightmare, but it turns out it wasn't! The anxious thoughts I used to have just weren't there and I was able to concentrate just on driving. It was a liberating step forward- thank you! First of all, I want to say a big thank you. I didn't even read the whole program because I felt confident to go back on the road so quickly. I'm so pleased with myself and would recommend the program to anyone with a fear about driving. After 4 days I'm finding the program extremely helpful and in fact drove on a stretch of interstate I'd avoided for over a year just yesterday! I've been trying to overcome my fear of driving for years. 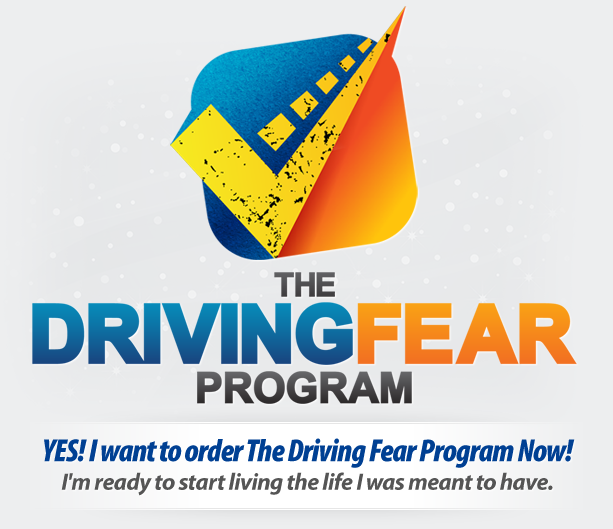 I bought the Driving Fear Program out of desperation, but after reading it and doing the exercises, now I have the tools to finally overcome the fear." Since I started the program I have really begun to notice differences in my confidence level. Little by little, day by day, I am getting better and I have the program to thank for that. I am so glad that I met someone that has finally understood that driving anxiety is real and quite debilitating. You've set me on a course where I'm resetting my whole view on life and refocusing all the psychological, emotional, and physical energy in a positive and empowering way. After less than two weeks on the program, I have been able to drive to work straight through without any pit stops to relax. My dreadful 1 hour drive is now 30 to 35 minutes tops. I'd recommend this program to anyone and everyone who is battling their fear! After starting your program, I did the most unbelievable and unattainable thing to me, passed my road test and got my drivers license! I can drive in the rain, on busy roads, and now I can take my son to his classes. Now whenever I sit in my car and the wheels start rolling, I feel a sense of elation. Thanks Rich, this program has definitely helped me. Your program has started to work wonders for me. Thank you so much! I used to get panic attacks just thinking about getting on the freeway or driving somewhere unfamiliar. Recently after going through the program, I drove on the freeway for an entire hour! It was very empowering and made me decide that I'm not going to let fear rule my life. I'm not going to be stuck anymore. I’m very excited about my progress since starting the program! I’ve been able to finally get back on the freeway and have driven about 100 miles back and forth taking various exits. It’s very liberating and I’m actually starting to be able to see how silly my fear was. Thanks to your program, my fear of driving is actually getting better! I am now driving around the city, going various places I never would have, and even drove quite a distance to my cottage. I used to be like a prisoner in my own home, afraid to even get in the car. Thanks so much. I wanted to let you know that the fear of driving I've had for over a year is GONE. It began as a fear of large trucks, and then grew until I avoiding highways altogether. I would have panic attacks while driving that made life incredibly difficult for me. Not anymore. Thank you so much for helping people like me regain control of their lives and inner peace with themselves on the road. I’ve been using the Driving Fear Program and S.A.F.E. Series for only 4 days and this morning when I drove I felt quite confident! I was able to drive over a bridge that always makes me really panicky and using the techniques I learned in the program I made it just fine. Even my boyfriend said he noticed a big difference in my driving and said he was proud of me. I just completed my first interstate trip in over 8 months and went 3 and a half hours round trip! Whenever I felt anxious, I used the techniques I learned in the program and the anxiety disappeared almost immediately. This trip was the confidence booster and success story I have been looking for. This is something positive I can build on! Thank you. I hadn't driven in a year and the past two nights I went out in my car and the fear that has always been there suddenly wasn't! The panic I usually feel in my gut just didn't show up, it was wonderful, absolutely incredible. God, I'm so excited! It's only been a few days since I received the program, but I'm very pleased to report that I'm already able to drive on the highways again! Thank you so much, this has improved my quality of life. I'm grateful because what you teach really works! Guess what...after only 4 days on the program I was back on the interstate! I did it! I have been practicing the program for only a couple of weeks now and today I drove with my kids 30 miles on the highway round trip! It felt good to get some independence back. Thanks Rich for your fabulous program!!! I decided to try the Driving Fear Program because I was sick of living with my driving anxiety. It had gotten to a point where I was afraid to even drive locally - every time I would get in the car I was scared to death and would have extreme tension, a rapid heartbeat, sweaty palms, scary thoughts, and other symptoms of anxiety. I had tried medications, but they didn't help and I couldn't stand feeling like a zombie all day. After using the Driving Fear Program for a couple weeks, I started to feel more relaxed and noticed my scary thoughts going away. I can drive so much easier now - the program has helped tremendously. I'm living proof the Driving Fear Program works! I really love this program. After staying home for four years because of my driving anxiety, I started the Driving Fear Program and after just a week I was doing better. Now I feel like I've been able to start over - it's so empowering I get goosebumps when I drive now! Thanks for giving me my freedom back! I was tired of limiting myself because of my driving anxiety and fear of highways and interstates. I would feel spacey, have a racing heart, scary thoughts, and other symptoms of anxiety that made me avoid what what made me nervous. After starting the Driving Fear Program, I started to see results the very first time I got back on the highway - I just knew I would be ok. I feel much more confident now, both in the car and in my daily life. I've taken several trips on the interstate, and it's nice to know that I can handle it now and don't need to obsess or worry about it. I would definitely recommend the program. I had an enormous fear of driving. I would get anxious before even getting in the car and I had a tough time even driving down the block. Red lights would make me wants to jump out of my skin. My heart would race, I had thoughts of losing control, I would have panic attacks, and was an all around nervous wreck. After reading only the first part of the program, things started to really improve, and since starting the program I've really come a long, long, way. The program is much better than any pill for anxiety I ever took! I had become increasingly fearful when driving my car, especially at night, on bridges, and on the highway. I missed out on opportunities and seeing family and friends and one day I decided I wanted to get my life back once and for all! I found the Driving Fear Program online and within a few days I started to see changes. Now I know that I can control my anxiety when I drive and not the other way around. The Driving Fear Program has helped me feel a lot more confident and at ease now on the road. I had already tried may things to help with my driving anxiety before I found the Driving Fear Program, but nothing had worked. I was having trouble driving to and from work and it was becoming a major stress for both me and my family. By the time I discovered your website, my fear had become debilitating and I would feel like I was going to pass out while I was driving. Within a couple weeks of using the program and practicing the techniques, I started to see results. Now I feel more at ease with my driving and am much more able to relax when I'm on the road. I'm so glad I found the program, it was the only thing that truly helped. I had a fear of bridges, sitting at traffic signals, freeways…you name it. I was SICK of feeling like a failure and being incapable of carrying out my daily activities, but I couldn't find a way out of my growing and disabling fear. I found the Driving Fear Program and immediately noticed a difference. The Program gives great solutions to tackle your anxiety while driving, and is also very good advice for anxiety and fear in general. I feel so much better about myself now. I'm proud of all I've been able to accomplish with the Program! I hadn't driven on a motor way for 8 years when a new job and the coming of my 30th birthday prompted me to try the Driving Fear Program. I devoured the Program and all it contained, and it actually felt exciting to challenge myself and to break through my comfort zone. Now I'm better at my job, can take my family new places, and my husband is so proud of me. I think the Program is a great value and approaches your fear from so many angels, one is sure to work! My fear of driving had embarrassed me more than once, and I was tired of making my wife drive so I could avoid my anxious symptoms such as sweaty palms, tight chest, shortness of breath, and a racing heart. Everywhere I looked your Program was recommended, and after I started it, I began to see changes right way and learned to really understand my anxiety, which I think is half the battle. It's nice now chauffeur my wife around and give her a break! I would recommend the Program without a doubt. I struggled with driving anxiety for the last ten years ever since my first panic attack behind the wheel. It had taken away so many freedoms and I was limited by being unable to drive anywhere more than a few miles from home. I had tried medication, therapy, and books, but nothing seemed to help. After using the Driving Fear Program for about a week, my anxiety was significantly less. Now I can drive to work easily, go shopping, and have just been going more places and having ore FUN. The solutions you provide are real and very easy to do. I was tired of feeling like I couldn't go anywhere. I had read a million self-help books, gone to counseling, and been on all kinds of medication. I got so much out of your free emails that I decided to try the Program. When I would drive I would be afraid of getting stuck a red lights, on hills, the freeway, and over bridges. It effected my social life and I even quit my job because of my anxiety. Now that I've gone through the program, I can drive all over town, sit at stoplights without feeling trapped, go down hills, and I don't feel like I have to miss out on anything anymore. Thank you! I had been having panic attacks while driving for about ten years and when I hit forty I decided enough was enough and I had to do something to change the situation. I couldn't visit relatives or go shopping and would constantly feel trapped when I was on the road, so I simply avoided it . After I started the Driving Fear Program, I saw results very quickly, within a couple days I was already doing things I couldn't do before. Recently I was offered a big promotion at work that involves a lot of driving and I would have never been able to do it prior to the Program, but now I can! The Program is practical advice that worked for me almost instantly - it works! Before the Program, I would feel fear and anxiety just thinking about driving on a highway, and it effected my personal and professional life. Now I'm able to go back on the highway with no sense of anxiety and I've even found myself speeding a little at times! I don't have to depend on other people anymore, I can do it myself. The Driving Fear Program is excellent, it truly works. My problem was panic attacks while I was driving. I couldn't live a normal life, I was constantly avoiding situations that brought on the feelings of anxiety like tense muscles, scary thoughts, or feeling like I would lose control and get into an accident. I saw results when I first started to USE what the Program taught me. As I practiced, the fear just went away. The Program worked! Thank you! I tried the Driving Fear Program out of sheer desperation after living with anxiety and panic attacks while driving for over five years. After completing the program I felt I needed to tell you how much my life has changed and thank you for returning the smile to my face. The problems I used to experience are all but a memory, and life has gotten so much better and I don't avoid things. Not only that, but my whole mental outlook is better now that I'm not weighed down with anxiety and fear. I would highly recommend the program to anyone with anxiety, thank you Rich. I had a safe area that I could drive in, but it was decreasing month by month, and I couldn't get on the interstate for even a short drive. This was the only resource I found that specifically targeted panic attacks while driving so I make the decision to order it. While I was reading the manual, everything just clicked for me, and I started to take my life back. I haven't had panic attack in months, and I'm much more independent. The Driving Fear Program is a GODSEND for people experiencing panic attacks while driving, nothing else I tired even comes close. I had tried therapy in the past, and ONE appointment cost far more than this ENTIRE COURSE and the Driving Fear Program worked much better for me.